Welcome and thank you for joining us to celebrate the fairytale wedding of Princess Heather, the beautiful daughter of our hostess Liz Cline. Today, January 28th, 2012, is Heather's wedding day. While you are hopping she will be getting dressed, walking down the aisle, and already celebrating her new life with Prince Charming. 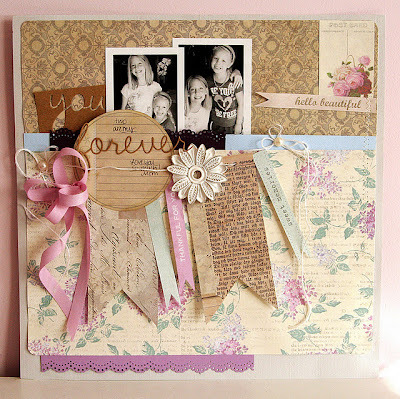 This blog hop is dedicated strictly to 12 x 12 scrapbook layouts. All layouts you see in this hop have been sent to Liz and assembled into a wedding surprise scrapbook album for Heather, a gift fitting of any young princess. You are going to be amazed at what creations these fabulous ladies have designed. 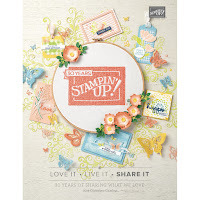 In order to be eligible for this blog candy, all that is required of you is to comment and follow each blog along the hop and to stop in at the Facebook pages of the sponsors to thank them. Without further ado before the "I Do! ", let me tell you a secret: I was ALMOST unable to post a picture of my layout I did for Heather because (duhhhh), I skipped town before creating and scheduling this post. The picture of the layout I created is on my computer back home, and I am visiting my two favorite lovebirds, my parents Ed and Dot -- married 61 years -- in Florida. ... but, luckily for me, I finished my layout and mailed it to Heather's Mom Liz -- who despite all the hub-bub around her house, was able to take a pic of my layout and send me a picture of it to post here. Thank you, so much Liz, for doing that for me. I intentionally kept the layout clean, classic and elegant ... and in the bride's colors of ice pink and silver. I'm partial to the ice pink myself, since it's the color I wore as a bride when I married John (the love of my life!) nearly 13 years ago. It was the second-time (LAST time!) around me as a bride, and I just loved my elegant beaded jacket over a long chiffon dress. This layout was done by Danielle Flanders and is currently featured on her blog, Homespun With Heart. 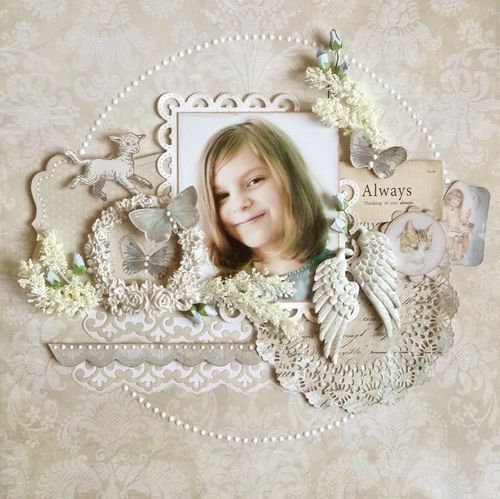 She made it using the new "Victorian" line of Melissa Frances' "C'est La Vie" papers -- and I think it is simply GORGEOUS!! 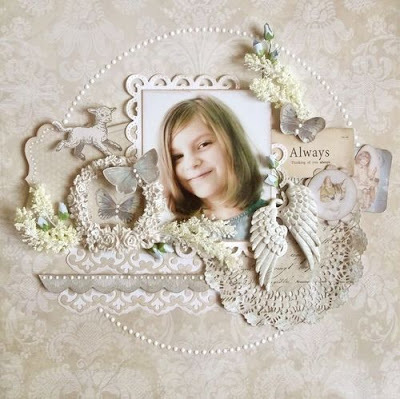 This layout was done by international scrapper, Karola Witczak. 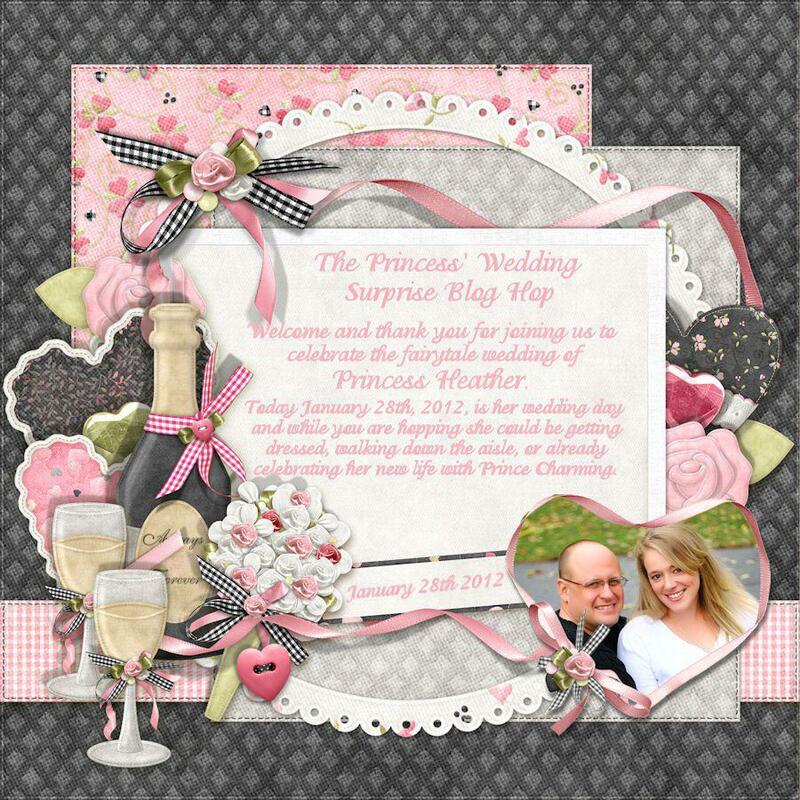 It is featured on the manufacturer's blog of Melissa Frances Papers. Gorgeous, especially in that it features silver and gentle pink, the colors our Princess bride, Heather, has chosen for her wedding. 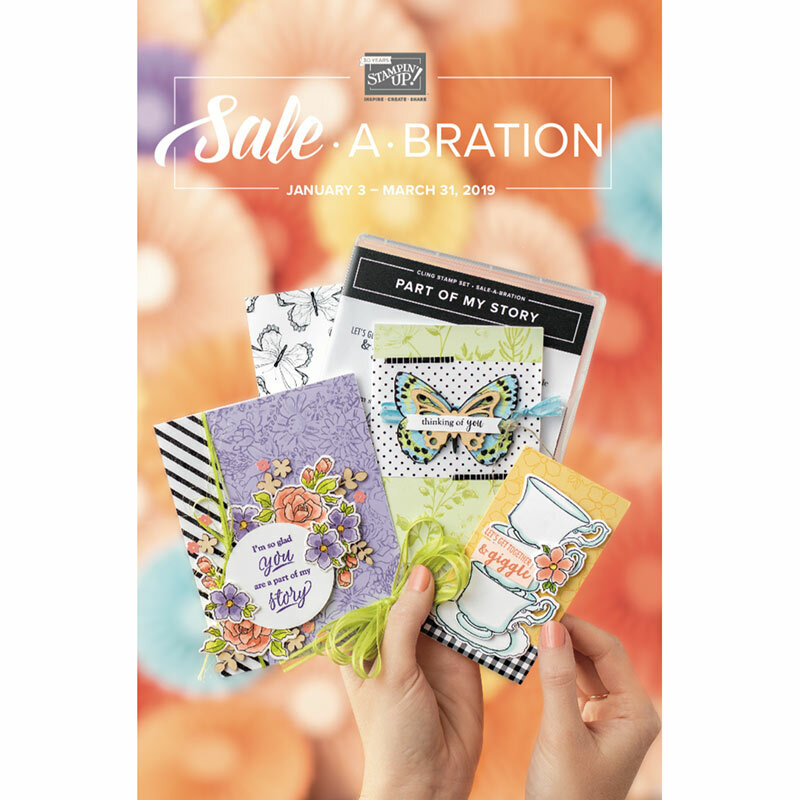 These two BEAUTIFUL layouts remind me that I am a cardmaker at heart -- and how utterly beautiful layouts can be when we follow expert crafters. Oh, I'm just so jealous of the abilities it takes to make layouts like these. Beautifully done, Danielle and Karola!! I'm sure you'll find more inspiration along the Hop! Please hop over to these Hops and leave comments/love. Your next stop is SHANNON. Don't forget to visit PinkPunkCosmo -- that's Heather's blog -- and wish her love and luck on her wedding day! ♥ Loads of Love ♥ on your special day! Awesome layout Miss Ellen great job. Ellen, your layout is very pretty. Thanks for sharing the extra inspiration layouts too. Another sweet LO. Love how clean and pretty it is great job. 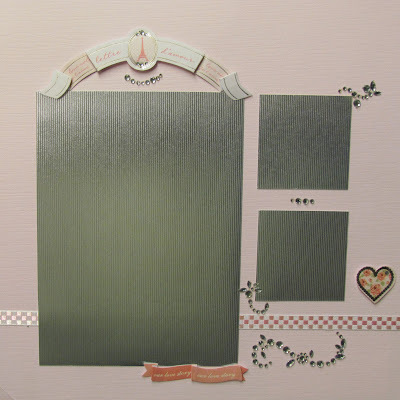 I love the embellishments that you used for the layouts. Great job! Very elegant LO, the bride will love it! I like the colors you used on your layout. I think your layout is fantastic! I love the two you posted also but yours is just as nice! Ellen, thank you soo much for helping me make this a very special day for daughter. I love your layout and I know Heather will too. That is a beautiful layout! Glad Liz was able to send you a photo! Hope you are enjoying your time here in the Sunshine State! :) We've been having BEAUTIFUL weather lately! :) If I owned shorts that fit me, I'd be wearing them! 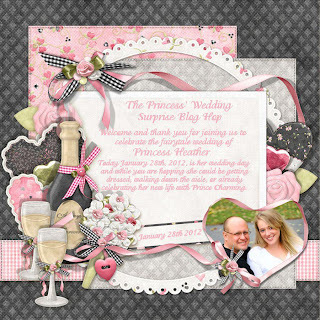 It's been so wonderful being in this hop with you, it's such an honor to make these layouts for Princess Heather! Thank you for the links to the inspiration pages, I'll def take a look at those sites for future inspiration!